On Sunday 11th June, Jo Richards held an open air exercise class in Weymouth to raise money for Weldmar Hospicecare. 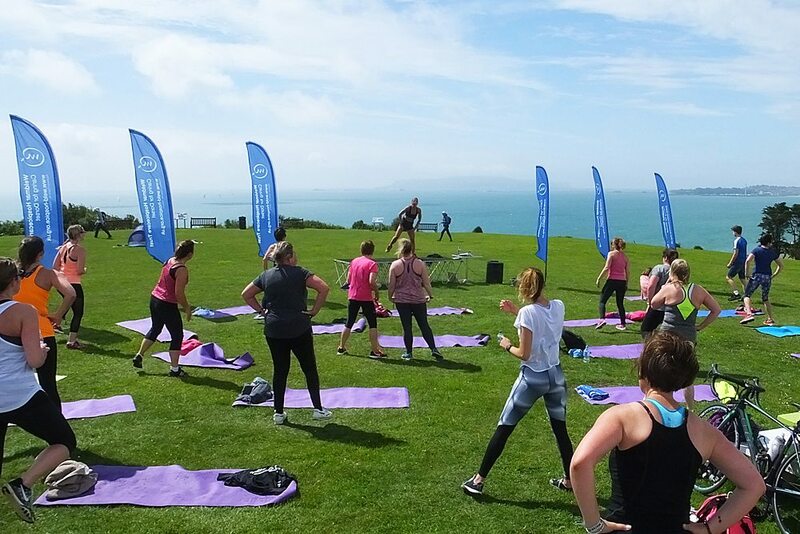 The event was held outside the Lookout Café at Bowleaze Coveway – and attracted support from over 30 fitness fans. Jo is a Fitness Instructor and Personal Trainer at the 3D Health and Fitness Gym at Wey Valley School – and the gym helped to support the event. Jo said “I held this event in memory of my friend Jo Davies, who passed away 10 years ago. I wanted to do something to help keep her memory alive and to support Weldmar, the charity that did so much to help her and her family at the time, and so many others in their care now”. The two hour long fitness class consisted of a mix of cardio HIIT, body conditioning and core strength training – and participants paid £10 to take part. Each person taking part was rewarded by a cup cake supplied by Henrietta Murfit of Henni’s Sweet Treats. In total, the event raised £525 for Weldmar. Jo said “The event was a big success and I would like to thank everyone who came along, joined in or donated to the event so generously – including Lou Sams for loaning me a stage and Victoria Jones for the sound system”. Diane Bentley, Community Engagement Fundraiser for Weldmar Hospicecare, said “I brought my yoga mat and my gym clothes, and joined in with the whole event. I was amazed at Jo’s energy, and delighted to see so many people taking part in support of Weldmar. We rely so much on the support of our local community. The money they have raised will help us to continue to provide our outstanding care across Dorset, supporting our patients and their families where and when they need us most – in their homes, in a local hospital in our hospice, or over the phone”. Please contact us via the website or call 01305 261800 if you would like more information about holding your own events in aid of Weldmar Hospicecare.